If you’re serious about cellaring wine and you’re thinking about storing it anywhere in the house long term, you’re pretty much wasting your time and, of course, your money. Offsite wine storage will not only keep your wine in ideal conditions, it will add to your enjoyment as a wine collector in many ways. We all know wine needs to be stored in a cool place, but how cool is cool? 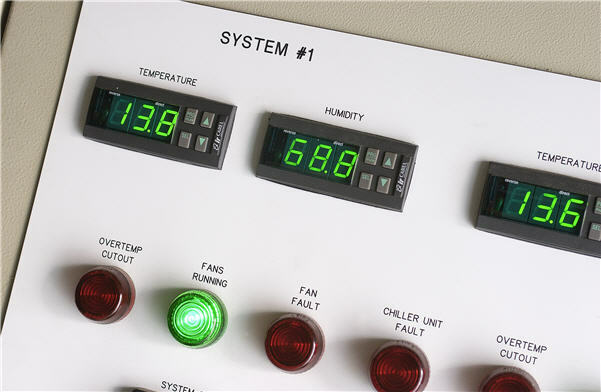 Ideally, wine needs to be stored at around 14 degrees Celsius. Now, that’s pretty cool, some would even say cold. Whilst ambient temperature in most homes is around 21 degrees, this varies by at least ten degrees throughout the year. It is this variation in temperature that has one of the most detrimental impacts on wine. When it comes to storing wine with a cork seal, humidity needs to be quite high, between 65 % and 75% (much lower and corks will dry out, letting in air and spoiling wine, much higher and labels will go mouldy). Other conditions that need to be considered when it comes to cellaring wine are darkness, minimal vibration and good air flow. Wine collectors have different needs when it comes to storing wine. Some prefer to lock it away for the long term, others want a case delivered to their home or office as the wine is ready to be drunk, while a few like to ‘play’ with their wine, adding their latest purchase and rearranging their collection to suit their changing needs. To cater for this, a professional wine storage facility, or cellarage as it is also known, should offer wine collectors various storage options that should cover self storage (where you get your own dedicated space that you access with a key or code) and managed wine storage (where you basically get someone else to do all the hard work for you). One of the obvious setbacks to storing your wine offsite is that you can’t look at it. Some of the better wine storage facilities will catalogue your wine so that you can view your collection online at any time (vintage, variety, label and so on). This is updated when any newly purchased wine (that you’ve had delivered directly to the facility from bottle shop or cellar door) is added to your collection. Sometimes, you can add your own tasting notes to your online cellar, view graphs and get a maturity profile of your wine. Does the Wine Storage Facility Understand Wine? 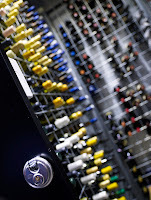 Many self storage providers also offer wine storage. Problem is, how much added value can they offer you, the wine collector? A professional wine cellarage has a myriad of products and services such as wine events, wine education, tastings, what to buy, wine retail, accessories, information on latest releases, and the list goes on. Make sure you store your wine with a dedicated wine storage facility – after all, you don’t want your precious wine sitting next to someone’s old mattress and unwanted books. Bottom line, cellaring your wine with a professional wine storage facility is a win/win all round and the result is you will get to drink wine at its best every time you open a bottle.